Colourvue 1 Year Crazy Coloured Contact Lenses are a range of coloured contact lenses designed to last 1 year, after the first day of opening. In this range of coloured contact lenses, you'll find a large variety of different coloured contact lenses. Which will suit the taste of numerous different people! If you open them on Halloween, you could even use them the following Halloween- making them definetely worth their price tag! 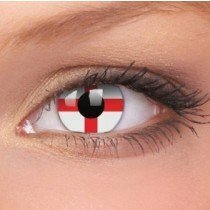 Would you prefer coloured contact lenses that have a shorter lifespan? 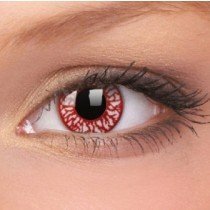 Take a look at our 1 Day Wear Crazy Coloured Contact Lenses, which will last you just one day- making them ideal for Halloween!